Rose was asked if the Wolves — who struggled through a 1-4 preseason with Butler sitting out — will be able to change their course when the real games start. 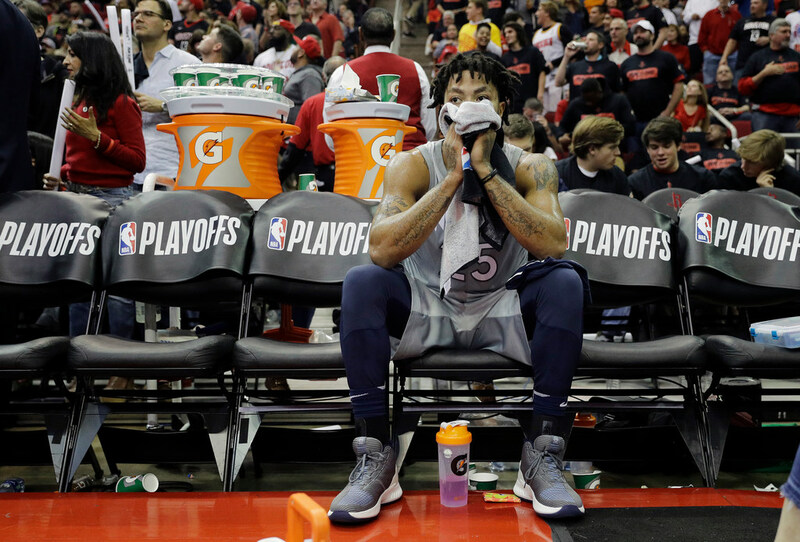 Before we get into the NBA regular season, which starts Wednesday for the Wolves, or get too deep (again) in the now four-weeks-old Jimmy Butler trade talks, let’s pause for a moment and appreciate the candor displayed by veteran guard Derrick Rose during his session with reporters on Monday. Rose has played with Butler and under coach Tom Thibodeau before, both in Chicago and last year with the Wolves. He’s a veteran who has bounced around lately and seen a lot of situations. He’s here on a one-year contract. All of these things added up to some refreshing honesty out of Rose — not necessarily controversial statements but a frank assessment, for better or worse, of where things stand after a very strange month. Other Wolves players have said practices have been intense since Butler returned, but they tended to also say practices were also high-energy without Butler. When I asked him if practice was different now that Butler has returned, Rose again was honest. And finally, in regards to where the Wolves are chemistry-wise at this point, Rose was perhaps most honest of all.